One of the most expensive and time-consuming aspects of building a house is the roofing. It can take hours to install hundreds or even thousands of wood, slate, or asphalt shingles, and the installation cost can quickly begin to soar. And all the hard work that you or your installer put into your new roof can begin to show signs of wear and tear in as little as a few short years. To save yourself time, money, and the need to repair or replace your roof again within fifteen to twenty years, you may consider investing in rubber roofing. A rubber roof is one of the most eco-friendly forms of roofing on the market today. It is made largely from recycled rubber and a number of other recycled materials, such as plastic and slate dust. Like many recycled products, rubber roofing is available in a number of different colors and styles, so you don't have to feel limited by the dark gray shade that is usually associated with rubber. 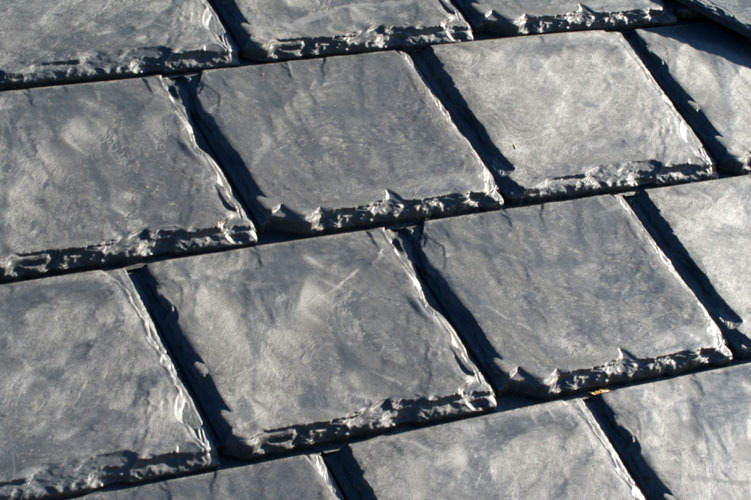 You may even be able to find rubber roofing that is designed to look like slate, asphalt, or cedar. You can also choose from a rubber roll, which is fairly simple to install and virtually leak-proof, or rubber shingles that can give rubber roofing a more traditional look. As previously mentioned, roofing is often one of the most expensive components of home improvement or new construction. However, installing a rubber roof can drastically cut that cost as rubber roofing is made of affordable recycled materials. In addition, rubber roofing is very durable, often having at least a thirty-year warranty with most brands. Should a rubber roof start to leak, it is usually a relatively simple matter to repair, requiring only a fresh application of a strong sealant or possibly the replacement of a few shingles. You can also replace an old roof with a new rubber roof. As long as you remove all traces of the old roofing materials, stripping the metal or shingles down to the plywood, your warranty should still be valid. If you plan to install the rubber roof yourself, you may find that the rubber roll is the easiest and most cost-effective option. Installing rubber roofing in shingles is much like installing other forms of shingles, in that they must be individually nailed down in an overlapping pattern. For added protection, you may coat rubber roofing with a roof sealant, taking care to heavily target any seams between rolls. In addition to the time, money, and effort you can save yourself with rubber roofing, you can also relax whenever it rains, knowing that your rubber roof will hold up without cracks or leaks for the next thirty years at least. Choosing a rubber roof can also help you save on your energy bill, as rubber is well-known for its insulating capabilities. Combine these features with the ease of installation, the variety of available colors and styles, and the low maintenance associated with rubber roofing, and you will find it to be a great option when it is time for you to put a new roof on your home. Rubber Roofing is just one of many types of roof covering. For information about other roofing options contact a local contractor for advice.